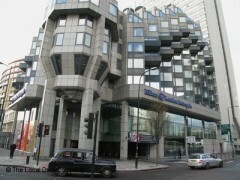 About: Hilton London Metropole hotelâ€™s 24th-floor Asian Fusion restaurant. Huge lanterns float over the interior of this popular London restaurant decked out in lacquered black and colourful murals. Try the maki sushi, soy-glazed duck or seafood with dipping sauce.